The subject is the person about whom the account is composed. The personal accounts of famous individuals often seem familiarcelebrities or politicians defending their reputations or confessing secrets. They tell the story of a life lived publicly. 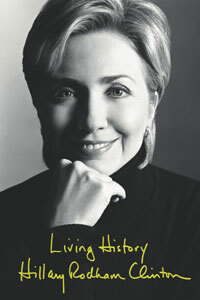 For example, readers of the autobiography by Hillary Rodham Clinton, Living History, probably do not need many clues about its historical context or Clintons role in American political life. Readers of the late Althea Gibsons autobiography, I Always Wanted to Be Somebody, might not know that she was the first African American woman tennis champion. Clinton is well known in contemporary times to a broad range of people, regardless of their political or professional interests. Gibson, however, would be a familiar figure only to a more select group of individuals whose interests include sports history and civil rights issues in American history. historical context? How do they identify themselves in relation to citizenship, age, gender, ethnicity, and education level? Think about the time and place in which the individual exists, his or her socioeconomic context. What living conditions might affect the individuals worldview? Next consider the individuals particular role in his or her community. Does the individual speak from a position of power or authority? Why or why not? What is the accepted view of this individuals place in society? Does the account suggest dissatisfaction with a perceived role? Or conflict in a personal situation? Or a celebration of the status quo? Why is this person offering an account of his or her life? Hillary Rodham Clinton and Althea Gibson would explain their lives in different ways. While Clinton might take care to protect and defend her own influence and her husbands political record, Gibson might be freer to talk about influences that shaped her rise to success in a world of sports long tainted by racism.